Since the time man began settling down in one place and growing their own food, humankind has had to find ways to store the excess food. To keep this leftover food and have it ready for the days when there is no food available, man came up with the idea of preserving food. The question is, how could they do it? Back then, they would preserve their food with salt or dried the food under the sun. Over the centuries, cooks and agriculturists the world over have fine-tuned their preservation methods, and together with technology, have come up with better ways to make food last longer. Not to mention tastier. According to Encyclopaedia Britannica, “food preservation” is any method by which food is kept from spoilage after harvest or slaughter. Nowadays though there is little need for us to preserve our own food but it is still a great way to save money. Especially if you buy food in bulk and have no idea how to finish all of it before it goes rotten. 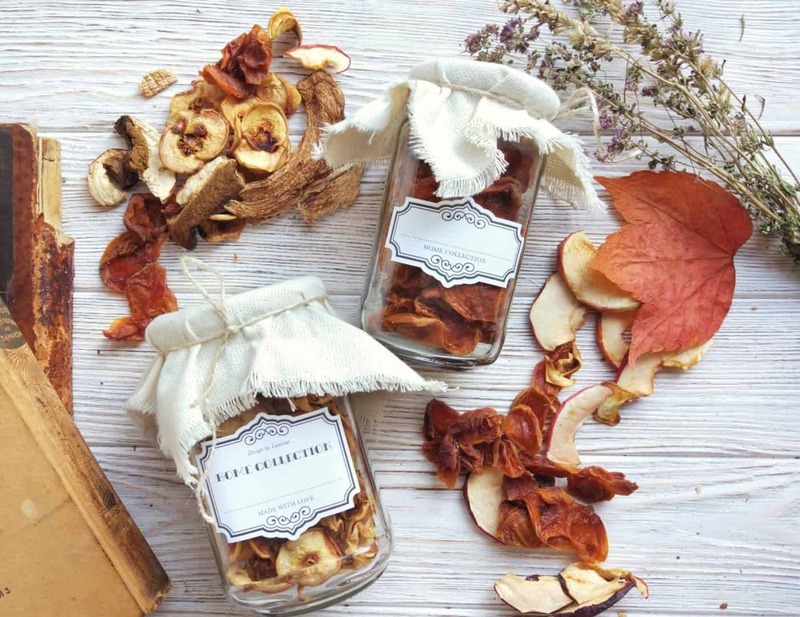 Drying or dehydrating foods is one of the oldest methods of food preservation. It is also a great option for long-term food storage if you don’t want to fill up your freezer. If you don’t own a fancy food dehydrator, it won’t be a problem. So long as you have a good oven and some baking trays. Generally, you can dry food in a regular convection oven. Just heat the oven to about 60-70ºC (or as close to this as you can go. It is a very low temperature), line a baking tray with wax paper and, thinly slice the food, dry out your produce until they are drier than the desert. How can you tell when they’re done dehydrating? Pinch a slice between your fingers and if no liquid comes out, you can be almost 100% sure that the fruit is completely dry. Alternatively, you can put the still warm fruit into a plastic bag or glass jar, and if condensation occurs, then you’ll need to continue drying it for a little longer. Vegetables and fruits are popular dehydrating choices but bear in mind that not all of them can be preserved this way. If you want to give it a go, you can dehydrate apples, strawberries and bananas. Start by slicing them thinly (¼ inch) and laying them in a single layer on a baking tray. Want extra flavour? “Pre-treat” them with spices such as sprinkling cinnamon powder on your apple slices. Popular vegetables that can be dehydrated are peppers, zucchini, tomatoes and greens, which are almost always made into chips, that are a much healthier alternative to potato chips. Among the advantages of drying out food in the oven is there is little to no nutrient loss. Also, the food takes very little space to store (think about it, dehydrated food loses a lot of volume when water is removed from it). There are some cons to this process. Sadly, some things cannot be dehydrated and there is also the loss or modification of the flavour profile to deal with. The freezer is without a doubt the most common food storage device known to modern man. A must-have appliance in kitchens, there are about 10 million refrigerators sold every year in the U.S alone. Freezing food is also one of the easiest food preservation methods. The general idea is to put food into freezer-safe containers and store them in freezing temperatures (0ºC). You can easily store food for up to months and the frozen foods generally retain the same texture and flavour as fresh produce. However, it is recommended that you blanch or cook most vegetables before freezing to stop enzyme action and help them keep for longer. Sealing produce in vacuum packed bags helps prevent ice crystals from forming and extend their shelf life up to four times. Frozen food can then be quickly thawed, cooked and eaten. Best part is you’ll still be able to enjoy most of the nutrients as if the food was still fresh.